Instead of using a simple LDAP authentication, it is possible to use the integrated Windows Authentication, also known as Active Directory Single Sign On (AD SSO). Jedox supports native SSO with AD. For authentication, newer versions of Windows use Kerberos per default. Older versions of Windows used NTLM. 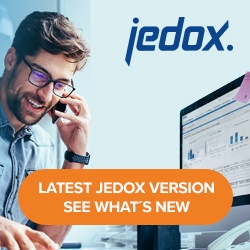 Users who are logged on to the Microsoft Windows system are connected directly with the Jedox In-Memory DB without further logon prompts. To use Single Sign On, an Active Directory (AD) environment is mandatory. If the Jedox server and the AD are not running in the same domain, it may be necessary to set the Service Principal Name (SPN). The Jedox installation must be configured for the server’s operating system and the desired SSO mode. The client must also be configured. Follow the links below for further steps. After these configuration steps, SSO will work. If you’ve scaled or clustered Jedox, further configurations are necessary, as outlined in SSO Technical Information.